It is becoming evident that assessment of skin exposure to physical and chemical stressors in workplaces should be accompanied by the assessment of skin barrier function at the time of exposure. “Real-life” occupational (nonclinical) environments can be highly variable and difficult to control which presents unique measurement challenges not encountered in clinical settings. Based on existing clinical guidelines, published data, and our own experiences, we developed guidelines and best practices for the in vivo measurement of transepidermal water loss (TEWL) and skin hydration in nonclinical settings, with specific emphasis placed on occupational environments (workplaces) as a worst-case scenario. This chapter presents these guidelines as well as amendments since initial publication thereof. Key elements of these guidelines are (i) recognition and minimization, to the extent feasible, of the influences of relevant endogenous-, exogenous-, environmental-, and measurement/instrumentation-related factors; (ii) recommendation of instruments to be used for measurement of in particular TEWL; (iii) recommendation of standardized reporting of measurement results; and (iv) accurate disclosure of notable deviations from the guidelines. 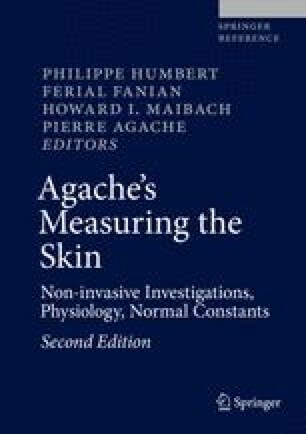 It is envisaged that these guidelines will promote skin barrier assessment, particularly in occupational environments, and consequentially enable intercomparison of future study results. Mention of a specific product or company does not constitute endorsement by the Centers for Disease Control and Prevention. The findings and conclusions in this report are those of the authors and do not necessarily represent the views of NIOSH.